The multisensory lab is dedicated to increasing knowledge regarding multisensory processing in applications to advance human health. The primary goal of our current research involves a systems neuroscience focus on sensory integration and plasticity. 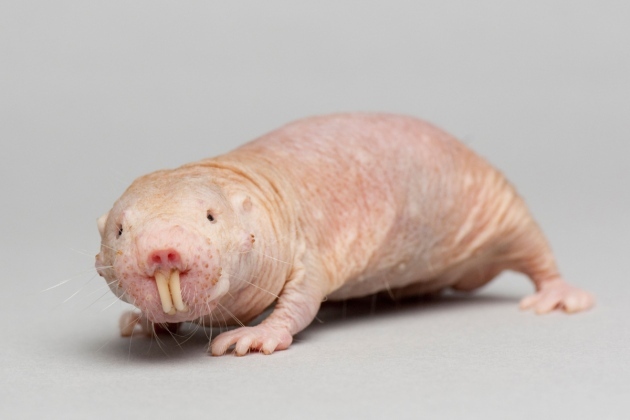 Our animal model of interest is the naked mole-rat, an unusual rodent model with sensory specializations related to its dentition (including a greatly expanded cortical representation dedicated to tactile inputs from the incisors). Current projects involve: 1) electrophysiological recordings in the cerebral cortex to assess integration of multiple sensory modalities at the neuronal level, 2) plasticity studies involving sensory reorganization following tooth loss), 3) behavioral studies involving multisensory integration, and 4) neuronal tract tracing studies to examine neuroanatomical reorganization and plasticity following tooth loss. The experimental techniques used in our lab (and in collaboration with other labs) include: in vivo electrophysiology, microstimulation of motor cortex, behavioral analyses, histology, immunohistochemistry, light and confocal microscopy. We're recruiting participants ages 12-17, who are either typically developed or have been diagnosed with Autism Spectrum Disorder, for our research study! 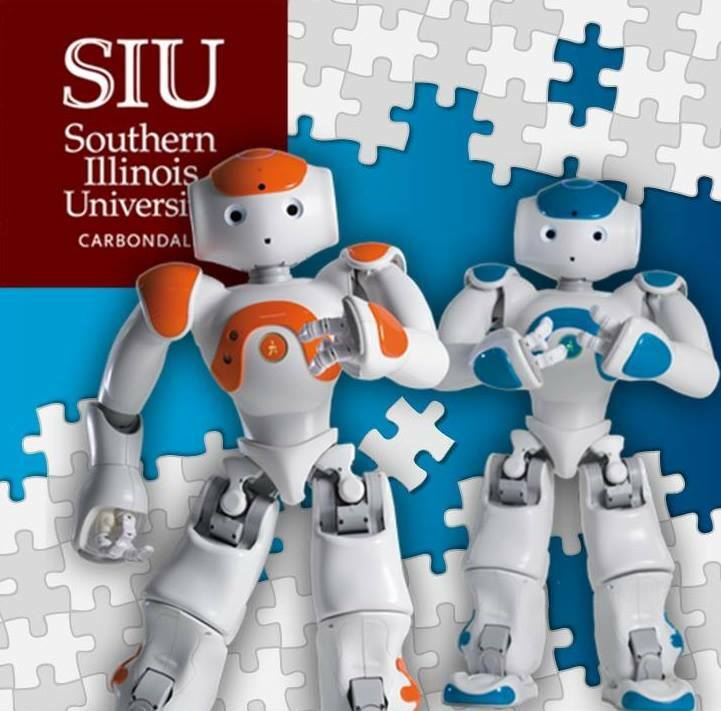 Participants will receive up to $20 in gift cards, and the study takes less than 2 hours (located at Southern Illinois University in Carbondale). You will be asked to complete a series of computer games, and information from this study may highlight the unique sensory and social experiences of youth with autism spectrum disorder. If you would like more information, or are interested in participating, please e-mail our research team at SIUsensory@gmail.com or call (618) 453-4154 and refer to the “Sight and Sound Study” to determine if you qualify and to schedule an appointment. Like us on facebook for updates on the project, the latest discoveries in autism research, and local events promoting autism awareness, outreach, and support! Like us on facebook for updates on the project, the latest discoveries in autism research, and local events promoting autism awareness, outreach, and support! We would like to invite you to take part in our parent recruitment registry! 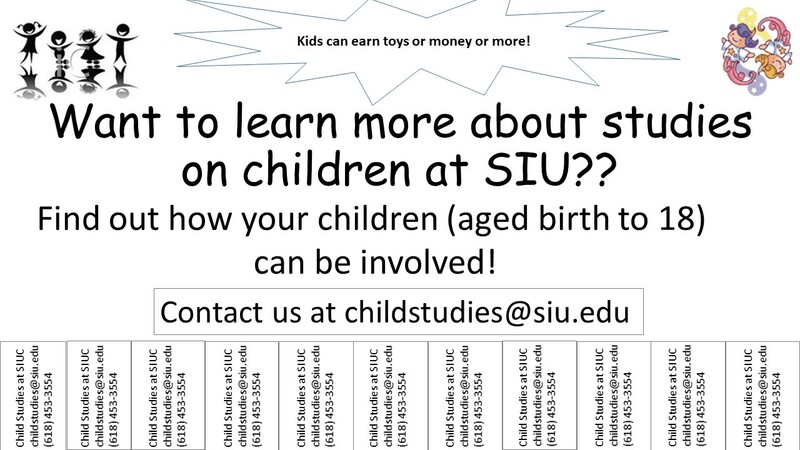 This is a list of parents/caregivers of children, ages birth-17 years, who may be interested in participating in research studies. To join or to learn more, please click on the link below or contact us!